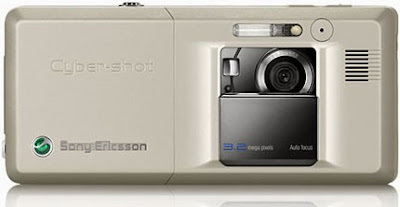 Sony Ericsson's camera-phone range has revolutionised the market and consistently pushed the boundaries between mobile phones and standalone digital cameras. 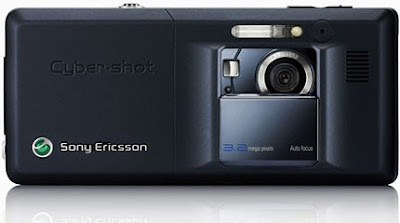 From the K750i's auto-focus capabilities to the K800i's xenon flash, Sony Ericsson has hit the nail on the head when it comes to giving users what they want. 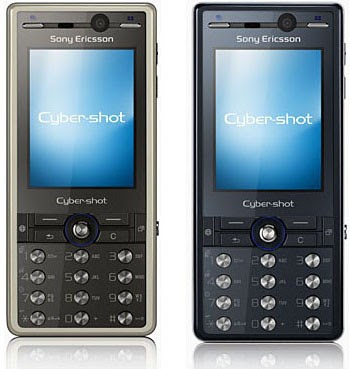 Given its pedigree, it's no wonder that we had high expectations for the K800i's successor, the Sony Ericsson K810i. What would Sony Ericsson bring to the table this time round? And would this handset get closer to giving us the best of both camera and mobile worlds, or would it leave us yearning for more? The main differences between the K810i and its predecessor are aesthetic. It seems that Sony Ericsson has been affected by the new wave of shiny phones that line the shelves of high-street mobile phone stores and given the K810i a glossy front section. It's also added a rather interesting keypad that features small circular silver keys. We were rather underwhelmed by the keys, which feel too small and too far apart, making texting less enjoyable than it could be. The navigation joystick also left us a little deflated, as it's rather awkward to press -- it doesn't stick out enough and in contrast to the keys on the keypad doesn't have enough space around it. Other than that, it's still a candybar phone with a large colour screen, a keypad and a camera on the back. The new one is 5mm slimmer, though, due to a new and improved camera cover. This is set in between two ridges to stop it opening in your pocket, a problem many K800i users will be familiar with. There's no doubt that the camera on the K810i is good, as it has the same spec camera as the K800i. There's a 3.2-megapixel sensor, auto-focus and a xenon flash, which left us puzzled since we frankly expected a little bit more from the K800i's successor. In terms of the camera's software, it's the same story -- you can shoot still pictures and video, adjust the white balance and picture quality and send your pictures to friends via MMS, email or blog them to a Blogger blog, which the K810i will automatically set up. All of which you can do on a K800i, too. You can also shoot photos using BestPic mode, which lets you take nine photos in quick succession when you press the shutter button and then choose the one you want to keep. The only real difference in terms of camera software options is something called Photo Fix that automatically adjusts light balance, brightness and contrast. We were disappointed that Sony Ericsson hasn't updated the Web browser, because it simply can't cope with non-WAP Web sites and doesn't have a desktop mode, so you can't view pages as you would on your computer's Web browser. An alternative is to download Opera mini on to the K810i -- it's a much better browser. The camera performs identically to the K800i's, producing great shots (relative to other camera phones), particularly in low light using the xenon flash. The only problem we had is there's a small amount of shutter lag when you take a shot, which causes blurring if you don't hold the camera still until it's finished. There is one small hardware feature change, but again it's not the improvement we expected. When you activate the camera, the 1, 4, 7 and asterisk keys turn into camera hard keys and give you direct access to some of the camera settings. These are marked out by small blue backlit icons. You can adjust picture quality, macro mode on/off, timer and flash. Most of the other features on the K810i are pretty straightforward and again identical to the ones found on the K800i. There's Bluetooth (including support for A2DP), infrared and 3G connectivity, a VGA camera on the front for video calling, an MP3 player, an expandable Memory Stick Micro M2 slot, support for POP3 and IMAP4 email accounts, an RSS feed reader, an FM radio and a Web browser. The MP3 player sounds good, as does the FM radio. Unfortunately, you don't get a 3.5mm headphone adaptor in the box so you can't plug in your own pair, but you could always buy an adaptor. You can also listen to music wirelessly via a pair of stereo Bluetooth headphones, which also sounded good. The speakerphone mode works as expected. Battery life is good, lasting for over two days of moderate use before we needed to recharge it. Sony Ericsson quotes up to 400 hours of standby time and 10 hours of talk time. We did find that the battery life drained faster using 3G, but you do have the option to switch to GSM only. Aside from the awkward keypad, which might not suit everyone's texting tastes, this is a good camera phone -- but there's something missing. Yes, it has a better camera cover than the K800i, some fancy blue lights and a glossy makeover, but that's the problem -- it's only a makeover and nothing has really changed. We rated the K800i as being one of the best camera phones we had seen so far -- and gave it an Editor's Choice award -- and we expected its successor to blow it out of the water with some new fancy features, which the K810i hasn't produced. Basically, if you own a K800i then you might as well keep it. Alternatively, you could have a look at the Nokia N95 and its whopping 5-megapixel camera, or the Samsung U600, which also boasts a 3.2-megapixel camera with auto-focus. Or you could simply wait to see what's next from Sony Ericsson, since there'll definitely be more camera phones to come.